For many areas of Long Beach, shipping containers are as much a part of the scenery as beach cruisers and the Queen Mary’s smokestacks. “We are the second-largest port in the world,” says Kim Gros. 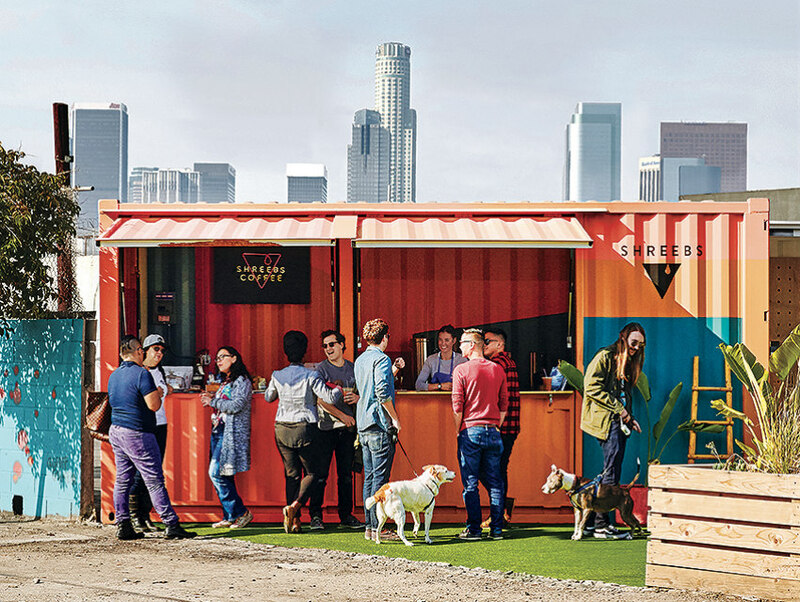 “Our economy is driven by containers; we wanted to celebrate that.” Gros is the developer behind SteelCraft, an open-air food court built entirely from metal shipping containers. “It just made so much sense for us,” says Gros, who plans to open the complex later this spring with vendors like Smog City Brewing and Long Beach Cup Ramen Bar. A whole raft of shipping containers has gone retail lately. In 2013, Las Vegas debuted the Container Park complex; San Diego is home to the Quartyard food and event space. Starbucks has even plunked container outposts in cities nationwide. Now L.A. is hitching onto the trend.